The national news front refuses to offer bright stories of hope and joy these days, and it doesn’t seem as though the trend will be ending any time soon. Another mass shooting at a newspaper in Annapolis, Maryland has left 5 dead and a community reeling. First-degree murder charges were filed Friday against Jarrod Warren Ramos, a man with a long-held grudge against Maryland’s capital newspaper, The Capital Gazette. Police said he shot his way into the newsroom, killing four journalists and a staffer and wounding two others. Supreme Court Justice Anthony Kennedy's announcement Wednesday of his retirement comes with the ink barely dry on several crucial decisions enabled by President Trump's choice of the conservative Neil Gorsuch, and his decision signals an upcoming period of national debate and disharmony. The screaming, swearing, and attack ads have already started running on media outlets, from both sides of the aisle. Trump will assuredly appoint a staunch conservative, and Democrats will not be happy with their options. 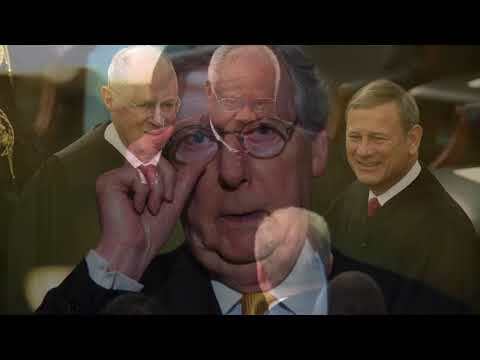 Big questions moving forward include who and when, as Mitch McConnell refused to hold a vote on an Obama nominee until after the 2016 elections were held - will he decide the same with the 2018 elections looming in just a few months? And just when you thought discussions of government overreach only happened on a national level, Johnson City’s Historic Zoning Commission has decided to restrict your paint options downtown. The commission voted unanimously to erase a sentence under “Policy 16,” which read “The introduction and use of colors shall not be restricted ..,” hoping to “encourage that colors complement each building and its neighbors. There is not a specific color palette for the Downtown Historic District,” according to Senior planner Matt Manley. This decision comes on the heels of the recent mural restrictions that left many downtown merchants and visitors angry and confused. This weekend leads into next week’s July 4th holiday, and regional events are planned and ready. Jonesborough will be leading the charge with the longstanding tradition of Jonesborough Days, and Erwin and Unicoi will be celebrating as well. In 1973, Johnny Cash and June Carter Cash performed at Jonesborough Days, and this year, the festival’s planners will honor that appearance with a Saturday night appearance from Johnny Cash NOW, a Johnny Cash tribute band. Independence Day celebrations in Unicoi County will kick off on July 4th (Wednesday) with a morning parade through downtown Erwin saluting the region’s military veterans, and wrap up with a bang at the annual Freedom Fest music and fireworks show in Unicoi. And people, if you’re going to be out on the lake this weekend enjoying the weather and the holiday fun, please - do not throw things in the water. No matter how big or small, it all has a negative effect. Lenny Peterson and his family will be the first to tell you that, especially after finding tires, televisions, picnic tables, vacuum cleaners, garbage disposals, and containers of dangerous chemicals during his yearly clean-up at Boone Lake. Efforts to rid the lake of trash and debris appear to be never-ending, according to Peterson, who serves as a quality control manager for the Tennessee Valley Authority. He says it never takes long to fill one dumpster when he volunteers at the Rockingham Marina each year. Needles and diapers, and large furniture make their way into our local lakes, as do refrigerators and thousands of bottles. Eight tons of tires, two tons of plastic foam and about 10-and-a-half tons of other types of miscellaneous trash were recovered during the Boone Lake Clean Up in April, and the hits just keep coming. Batteries. Lighter fluid. Chemicals. “When we found that people had thrown vacuum cleaners in the lake, that was quite shocking,” said Peterson. Upcoming local cleanups include South Holston Lake on Aug. 11 and a Watauga Lake cleanup on Sept. 8.